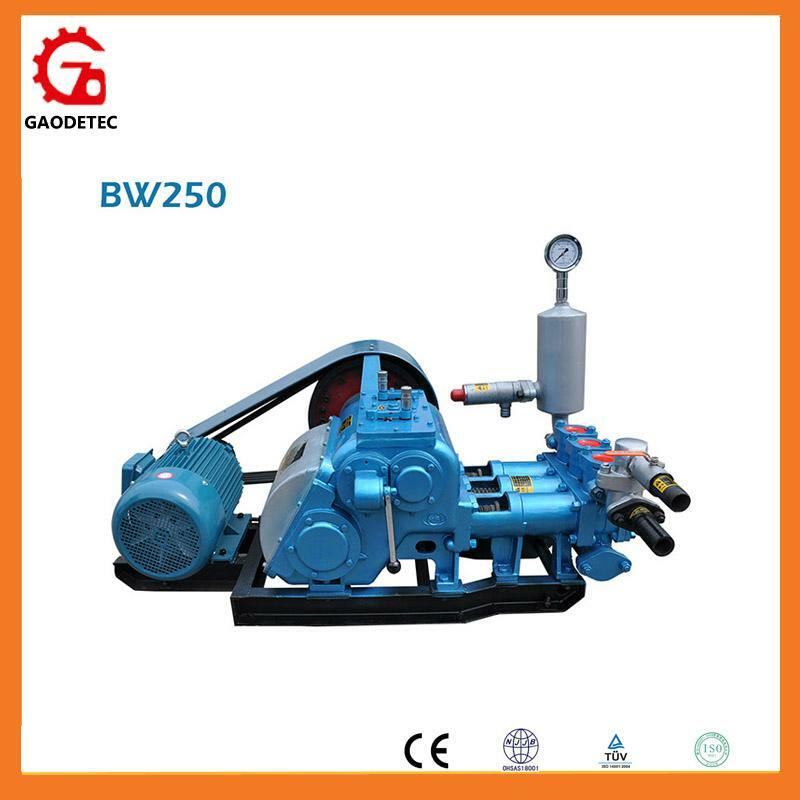 BW250 mud pump is a horizontal triplex single acting reciprocating piston pump, which has two bore and fourth gear speed. 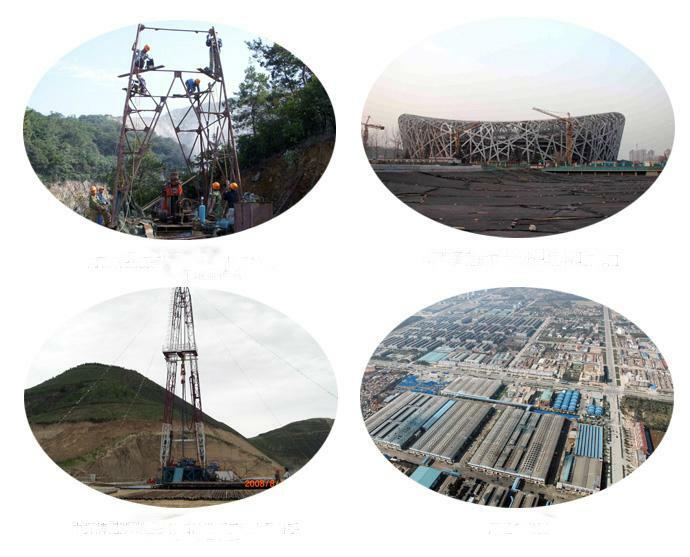 Displacement and hole depth can be adjusted according to the application, the deepest can be adjusted to the application, the deepest can be used with 1500 meters drilling rig, it also can be used cement perfusion. It is used for conveying mud for drilling, emission of mine sewage and transporting water for long distance. 1. It has four grades flow to meet large or small diameter drilling need, the adjustment scope is wide. 2. Pistons are bowl with nylon back, have a longer life. 3. There are 5 anti-dust sealed rings to prevent mud entering machine. 4. Drain valve is made of steel ball. 5. It is detachable and easy for maintenance and relocation.